Learning Spanish and having Fun! The Region of Valencia is one of the favorite destination for millions of tourists every year, thanks to the beaches, the weather and the gastronomy. But the Region is much more than this. 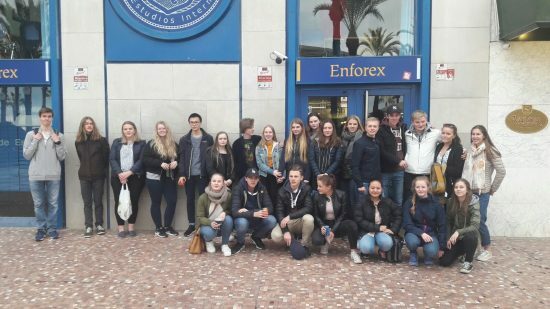 This week a group of Norwegian students have decided to come to study in our school in Alicante, learning Spanish is” in vogue”. There is nothing better than enjoying a trip that includes both studies and holidays. In Enforex Alicante, we take care of them during the whole trip. We pick them up at the airport the day they arrive and we bring them to the family houses they’re going to stay with. We make sure that the linguistic immersion is total. We not only teach them Spanish and help them with the studies but also show them more things about the city. 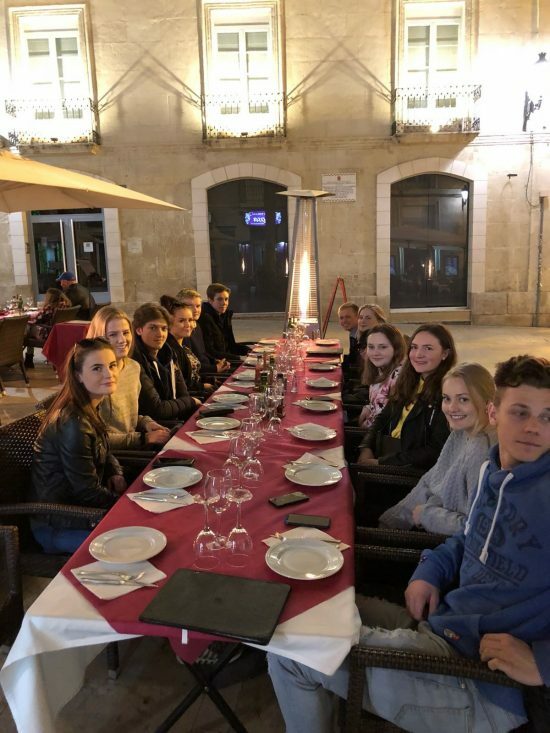 They can also visit the central market to discover the fresh products of the city, go to see a flamenco performance, eat some Tapas or taste some typical Spanish gastronomy… these activities make the city of Alicante incredible and are part of the extra-academic program we organize for our students in Enforex Alicante. 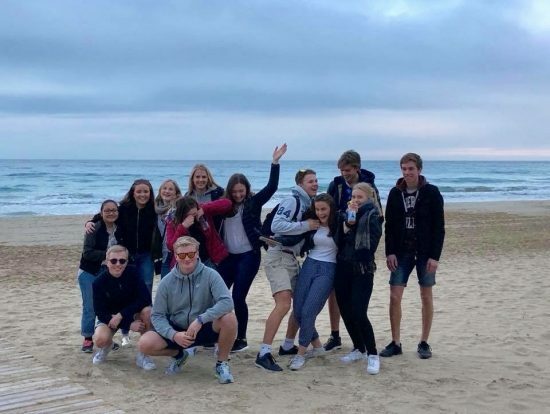 As you can see in the pictures, with this Norwegian group, we did a city tour, we walked on the famous promenade “Explanada de España”, we went to the beach, we took some Spanish tapas…etc. Did you know that the mosaic waves you can see on the floor represent the Mediterranean Sea and the mountains of Alicante? These anecdotes and others are part of the special City Tour you are going to be lucky to do with our school! Seems interesting, right? 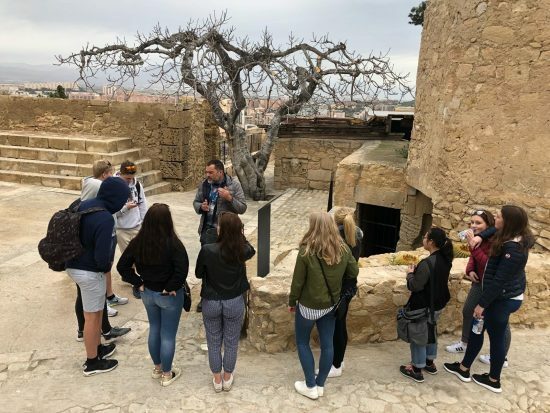 The students also went to the castle of Santa Barbara, “El Castillo de Santa Barbara”, the main point of the cultural and historical representation of the city. This is more than just a monument; the castle has its own romantic and tragic legend about the princess Zahara and “La cara del Moro” (The Muslim face) that happened during the Muslim period. Do you want to know more about this story? Our students now know everything about it!. Every person that comes to Alicante should not miss the opportunity to know more about “Las Hogueras de San Juan”. This is the city’s most important celebration, officially declared as of International Tourist Interest.This festivity takes place during the whole month of June and the most important week is from the 20th to the 24th. It is an event that consists in burning useless objects with the arrival of the summer solstice. People put in the ground more than two hundred paper statues (called in Spanish “Hogueras”). On June, the 24th, during the impressive night “de la Cremà”, the statues are burned in a huge bonfire, then the firefighters put out fires, as it’s summer time, people are getting wet as well, this is called the famous bathing (“la bañada” in Spanish). During the festivities, we can appreciate various shows like “Mascletàs”, “El Pergón”, “La Planta”, “La Cabalgata del Ninot”. 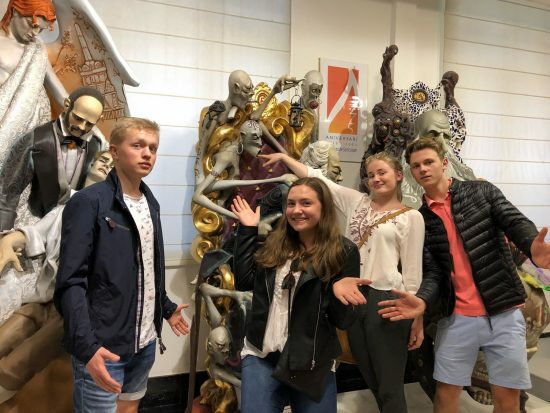 Thanks to the visit of the “Museo de las Hogueras”, the students have now a clearer vision of this special celebration in Alicante. 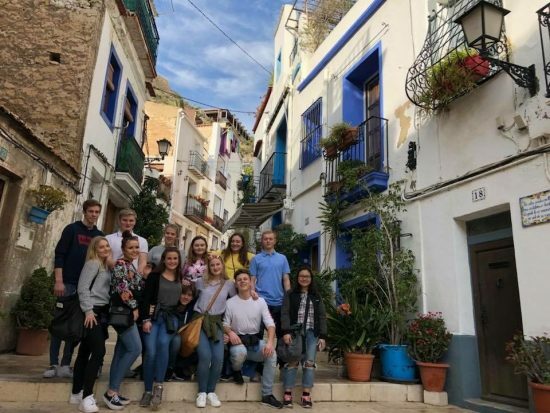 With all these activities during that special week in Alicante, our students could improve their level of Spanish, mixing classes and activities, making this experience unique and unforgettable. Nothing is better than studying and traveling around the world.